Finally - an update about our donor search! I thought I would try to give some background information about the process before talking about Kate's status. It's one of those things that can get confusing if you don't have a bit of knowledge on the subject. Heck, I am confused by it at times still so I don't expect people not thrown in the middle of it to fully comprehend how everything works! 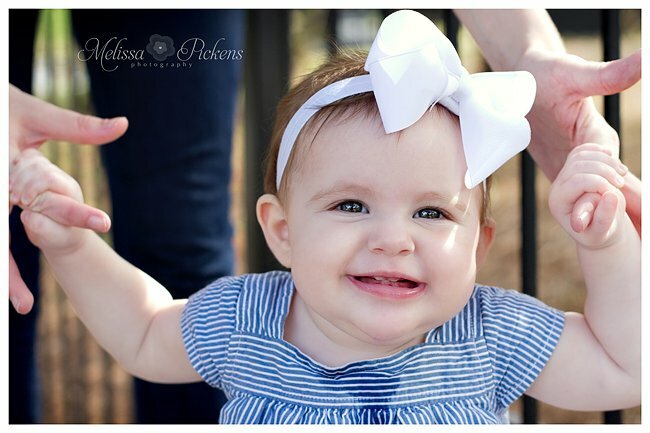 We had family pictures done two weeks ago - here are a few sneak peeks as a reward for reading this long, detailed post! I pulled the off of facebook and facebook is known for making pictures look a bit grainy - my apologies! My hair may be a bit frizzy but oh well! 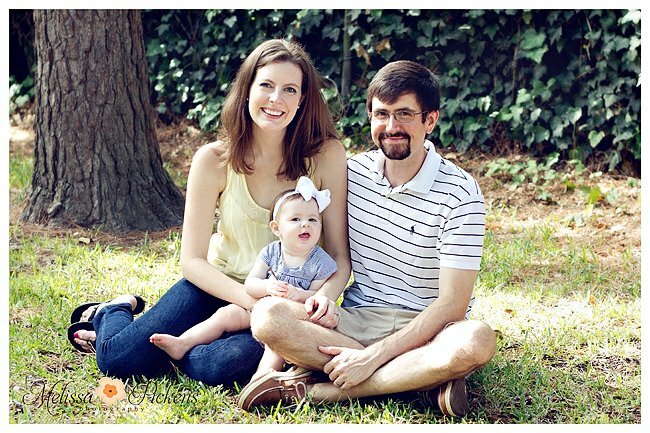 I love this picture of my sweet family! After identifying that a patient is in need of a BMT, they have HLA typing done to determine the characteristics needed in a match. This typing is done on 10 points and we need a 10 out of 10 match for Kate. Immediate family is also typed with siblings being the most likely to be a match. Interesting fact - extended family members (grandparents, aunts, uncles, etc) do not have any greater chance of matching than a random stranger on the street! Once the HLA testing is back, and the patients characteristics are known, an initial pass is made against the national, international, and cord blood registries. Potential donors on the registries have not had HLA testing done - they have have more basic testing that does not cover all 10 match points. Somehow (I don't know the specifics about this as genetics and such just isn't really area of expertise - I don't know any more than what we covered in Mrs. Freeman's freshman biology!) a list of potential donors is generated. This list is then prioritized (again I don't understand the conditions/reasoning behind prioritization) and becomes the list of all potential matches for a specific patient. The potential matches are "activated" in groups of 5-6. This means that they are contacted about being a potential match and asked to have additional testing done (HLA typing to identify all 10 match points as well as other things like ciral screenings, a physical, etc). At this point, donors can schedule testing, say they are no longer interested in donating, or be deemed unavailable for various reasons (pregnant, had surgery within 12 months, etc). After the additional testing is processed, it will be compared against Kate's HLA data to determine if they are a 10 out of 10 match for her. There are also other things that will be considered if we have multiple 10 out of 10 matches. Things like age, overall health, viral screens, etc. Once the donor is identified, it will be about 6 weeks before transplant. Both Kate and the donor have conditioning/ prep work needed that takes time. But, that's another blog post! I'll get to that once we have a match! Kate has been typed, as have Alex and I. Neither of us are matches which confirmed that Kate will have an "unknown" donor. All that means is that Kate's donor will come from the registry and is not an immediate family member. Kate's first pass against the database was done almost 2 weeks ago. Her results were pretty low. During our conference call a few weeks ago with the transplant doctor, I specifically asked what an average potential donor number was for the first pass. Kate's first pass list was less than 10% of that average. I took the news really hard which is why I probably wasn't motivated to update. I was in the mindset that blogging it made it real and I didn't want to deal with that fact that finding a donor may be difficult. We activated Kate's first group (which is the best/ most likely matches of her entire list) Thursday, June 23 and we were told to expect that 50% of the potential donors would be unavailable/ wouldn't want to donate. As of this morning, we have one cord blood unit and 3 individuals that have completed additional testing. That is 4 potential matches!! I am very excited by this and cried happy tears when I heard from our coordinator this morning! Just to be clear, we do not know if any of these 4 will be Kate's match. They are just POTENTIAL matches. BUT, there is a decent chance that one of those four is her match. I am hopeful that our match is in this batch. I am hopeful that Kate's second chance at life will be known within a few weeks. I am hopeful that the joy of my life will not be taken away from us entirely too soon. I am hopeful that Kate will be healed and go on to live a long, beautiful life. Plain and simple, I am hopeful. And I need a little bit of hope in my life these days. We won't know more about these potential matches for 3-4 weeks. But, for now, I am going to continue my daily prayers for Kate's donor. For their strength. Their selflessness. Their willingness. Their ability to give the gift of life. I hope your wish comes true and at least 1 of those folks is a match for Kate! Thoughts and prayers are being occurred continuously for you guys! That is great news! I think about you and your family often and hope more good news comes your way. Don't ponder the "what ifs" enjoy what is now. Take care and have a great day! Oh that is wonderful! I will be praying for her potential matches as well as for her. That is great news! I hope her match is in that group of 4 so you can get on with the process! Praying like crazy that Kate's match is one of these 4. Saying lots of prayers that one of these 4 is a match. Woo hoo for some good news! I am praying praying praying that one of them is a match!! I hope Kate's match is found soon! 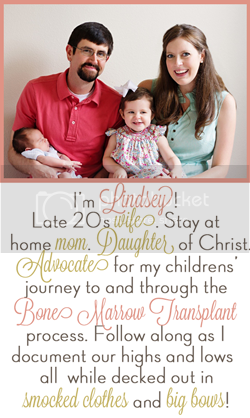 And I hope your story inspires more people to join the registry. Saying a prayer that one of these will be a match for your precious girl! That's great. I'm praying that one of those four donors works out for your sweet Kate. I will continue to lift Kate and your family up in prayer. So glad to hear the good news! I hope that you get your match soon! Praying for your family and a match!!! 4 potential matches, WOW! I hope that you hear some good news soon! I will pray for Kate and her donor. Please let me know if I can serve you in prayer in any other way. This makes me want to join the registry. I am so hopeful for you guys! I've been praying for you, little Kate! Thinking and praying for a match daily! I found your blog through DKMS on Facebook and I have been touched by your story. I am praying for little Kate and your family and I can't imagine what you are going through, as it is one of my biggest fears being a mom of two boys, ages 3 and 3 months. I am registered as a donor with DKMS and I donated my youngest son's cord blood with the Texas Cord Blood Bank. I would be honored if his cord blood was a match to your sweet baby girl, but we will never know who our gift goes to help. I am so glad you are encouraging more people to be swabbed as donors! Now if we can get the word out about donating cord blood rather than privately banking it! Best wishes to your sweet family.